MacOS is one of the safest technologies amid the existing ones. But with the course of technology development, not only positive aspects arise. There are various viruses that lead to malfunction of the system. Every person who creates something useful always has an equally smart person who wants to break it. And if your OS has trouble, then here’s the guide, how to fix it. It’s necessary to backup important files (this step is optional but desirable). You have heard about “Time Machine” -if you didn’t have to use it before, now it’s time to set it up. In “Menu” line you have to open TM settings. This can be done in another way, through the Apple menu – “System Settings”, and then click TM icon. Select the backup drive from the list and click “Use Disk”. Delete the app, after the install of which system began to fail. It’s better to delete all suspicious ones. You have to remove those programs that cause suspicion so try to find out what you downloaded recently, after what laptop began to behave suspiciously. Remembered? Excellent, then safely remove; and it will be useful to remove other that you haven’t used for a long time. Don’t forget to use the “Empty Trash” button in the same menu to leave no trace of the virus. The browser is the place where you can easily catch a hidden virus or an advertising program that doesn’t do any good, only makes you nervous. Check how many apps are installed in the browser, if you didn’t install them yourself, check it and delete everything that you don’t use. Use a variety of scanners to test the system for malware. It’s not always easy to delete a virus, scammers don’t stand still, they improve and develop their skills simultaneously with technology. The more protection grows – the stronger they become. The steps listed above can be sufficient if it’s not a very complex virus, but there are viruses that are perfectly masked and a person who doesn’t understand these technologies has difficulties in finding it. For such cases, we recommend using special apps to conduct regular system checks. Check that all are updated to latest version – the most important thing is to monitor the update of anti viruses, browsers, and the OS. Use an anti-virus software. 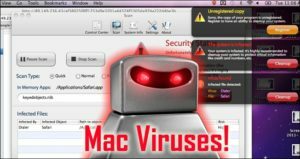 Viruses try to penetrate into the computers using the simplest trick – they show the user a message asking them to disable it for installing or updating a program. Never agree with such suggestions, it’s an attempt to infect your device. When working on the Internet, don’t visit sites that show signs of unreliability, a large number of ad units, inappropriate content are amid these signs. Carefully follow the installation of all programs (especially free ones). The infection can be made through the installation of additional software used by the creators of advertising programs. If you receive a mail from an unknown user, don’t open it. Especially if it contains attachments and links. Execution of each of these rules individually will significantly reduce the likelihood of virus, and the execution of all of them for a long time will protect your computer.